Successfully Added Foldable Silicone Drum - Lightweight Design, 5 Pads, 2 Pedals, Realistic Audio, Head Phone Support, Compatible with PC and MAC to your Shopping Cart. Play the drum anywhere you go with this foldable silicone drum set. With its foldable design, this music gadget is extremely potable. Simply roll it up and carry it along anywhere you go. This gadget is great for kids who wish to learn how to play an instrument at an affordable price. Not only will they be able to play at home, they can also effortlessly carry it along to school or music class. With its high-quality built-in stereo speakers, this foldable drum delivers realistic sound effects for you to enjoy. It comes with a total of 5 pads and 2 pedals, making it sound and feel as if you were playing the real thing. The silicone drum is extremely easy to use and can be played straight out of the box. Simply insert some batteries and you’ll be ready to go. Besides its realistic sound effects, our electronic drum also allows you to use it with your headphones so that you won’t disturb others while playing. With its sound record function, you can always listen back your previous sessions at a later point in time. Your foldable drum is compatible with Windows PC and MAC through which it allows you to play and edit previous recordings. It comes with a number of built-in practice methods that help you learn how to play the drum in the fastest and most efficient matter. 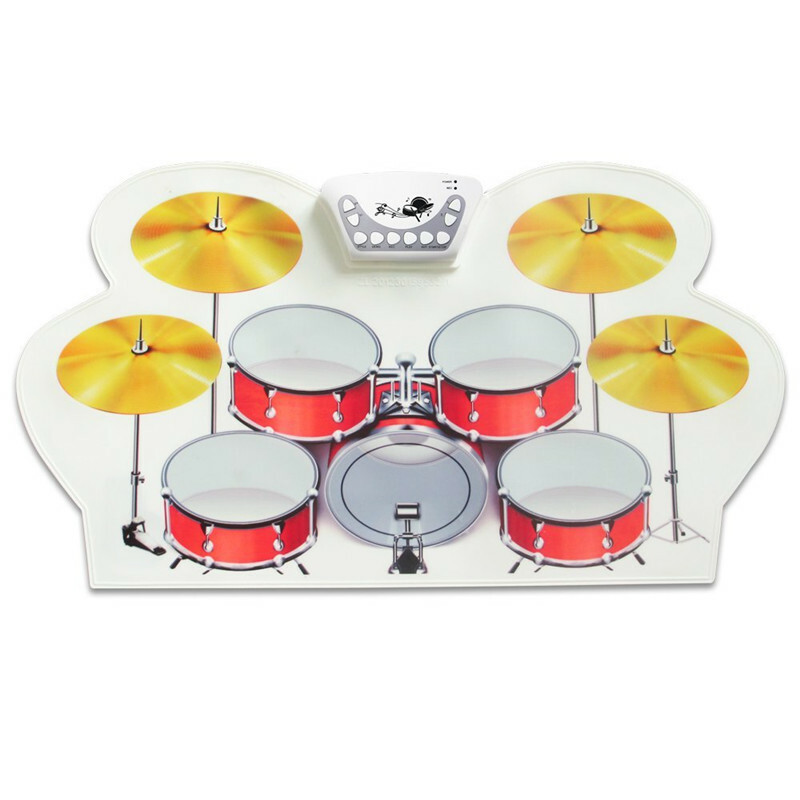 If it has always been your dream to be able to play the drum, this foldable music gadget is the ultimate gizmo for you. This folding drum comes with a 12 months warranty, brought to you by the leader in electronic devices as well as wholesale music gadgets.. Compatible software: Sonar, Cubase, Nuendo, E zdrummer, Major sequencer software VST/VSTi.